After being blasted by manager Unai Emery for poor form with PSG this season, Angel Di Maria might be on the way out and on the move yet again, as rumours of him heading to China are hot and emerging. The Argentine winger has had a poor season in Paris so far, and is also out of club training at the moment because of personal reasons. 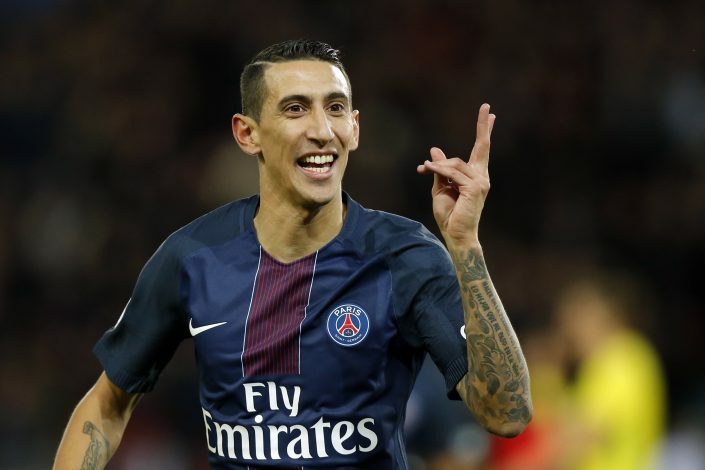 According to reports in L’Equipe, different Chinese Clubs are highly interested in the big money signing of Di Maria, after the likes of Oscar joining Shanghai SIPG and Tevez all but joining Shanghai Shenhua. Unai Emery had warned Di Maria to raise his game last month after a run of disappointing performances, but that did not happen, and his recent dismal display against Guingamp further worsened his cause for a place in the first team line up. He was recently dropped in a match with what Radio Monte Carlo called “an injury that suited everyone”. Di Maria is capable of putting in performances worthy of being called spectacular. However, on the other side, Di Maria is known for disappearing in games when he’s not in top form and being merely a spectator on the pitch. Di Maria’s performance against Switzerland in the last 16 of the 2014 world cup was one that perfectly sums up his career as he played utterly poor football for nearly two hours and ended up scoring the extra time winner. With the arrival of Julian Draxler in PSG, a move away is on the cards for Angel, and where it ends up taking place will soon be seen.